Clinton Markell, George C. Stone, Owen Fargusson, and others organized the Duluth Board of Trade in 1881 to deal with the growing volume of wheat reaching Duluth for marketing and shipping. Members of the board met in other downtown buildings until January 1886, when they all moved into the Board of Trade, which held thirty-two offices for the use of grain commissioners. 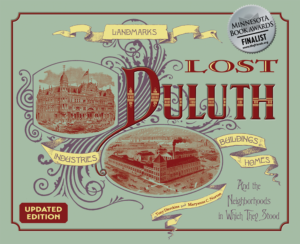 The Board of Trade was the pride of Duluth until February 11, 1894, when fire broke out. An attempt by commissioners to extinguish the flames failed due to lack of water. When firefighters arrived they found the closest hydrants frozen and had to thaw them out before they could fight the fire. The delay was disastrous and the fire spread so fast, aided by a cold wind off the lake, that the Board of Trade Building could not be saved. Large crowds gathered to watch and had to be chased out of harm’s way when the east wall fell. The building was completely destroyed. 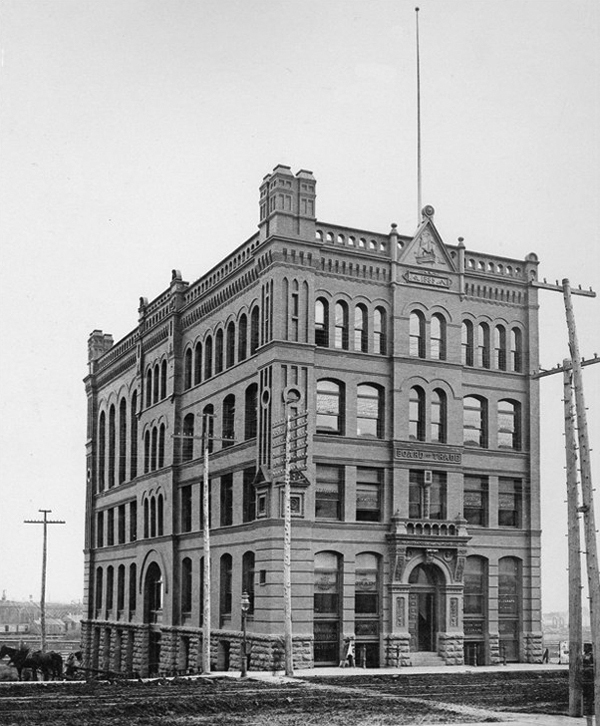 Grain commissioners moved to other buildings until the new Board of Trade Building at 301 West Superior was completed in 1895. That same year the Lonsdale Building replaced the original Board of Trade. See Duluth’s Grain Trade under Historic Industry for a history of Duluth’s Board of Trade.